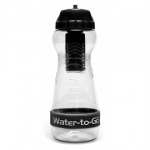 Help yourself and help the environment with a Water-to-Go bottle. These bottles cut down costs to you by providing an endless supply of clean, healthy filtered water almost anywhere in the world. They also help the planet by cutting down on the vast amounts of plastic waste that are generated from disposable single use drinks bottles. The product range includes larger re-usable filter bottles for travellers, as well as smaller bottles for commuters, gym enthusiasts or just about anyone who values clean water with minimal environmental cost. Protects you by filtering your drinking water. Twin Filter pack for the75cl Water-to-Go water bottle. 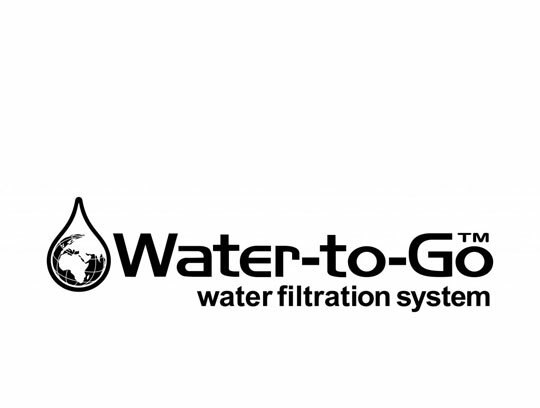 Water-to-Go filters, developed for NASA, protects you by filtering harmful contaminants from your drinking water.